People always ask precisely what we do every evening at Achievers. 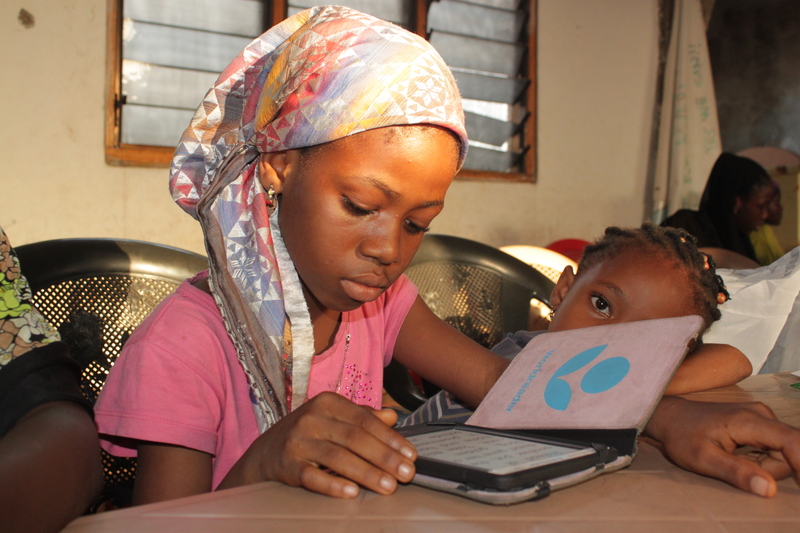 Well, every evening, over 60 girls troop into the center to participate in discussion sessions, public speaking seminars, writing workshops, poetry and arts, tech workshops, or simply to read a book on one of the 25 e-readers (100 titles each) we are opportune to have through a partnership with Worldreader. There is never really a dull moment. This week in particular we learned that some of the Achievers have completed all 100 titles on the e-readers and now yearning for more. 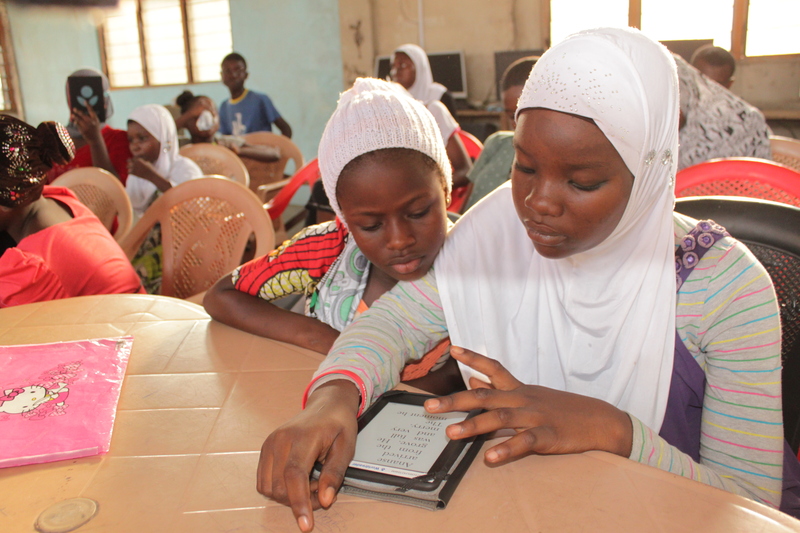 We are grateful for books such as Disability is not Inability, Ayisha, etc, that have become popular amongst our girls and that have taught them that a person’s circumstances should never limit them from reaching their fullest potential. We are also grateful for the various kinds of positive interactions having a library continues to promote in our community. It has certainly been another busy week for the Achievers. This entry was posted in Uncategorized and tagged Ayisha, Disability is not Inability, e-library, e-readers, Worldreader. Bookmark the permalink.